Decorative Lettering can add a personal touch or professional finish to beautiful handcrafted work - but making the letters is often an area of struggle for even the most gifted crafter. 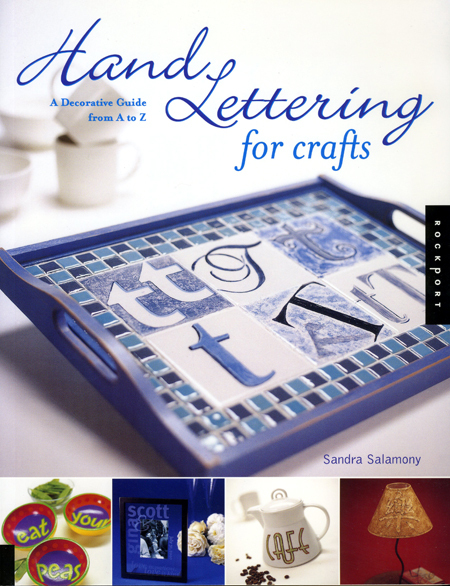 In this useful guidebook, you'll find simple instructions, practical tools, and traceable templates for crafters seeking to embellish their work with the power of words. Here are approachable, easy-to-learn calligraphy secrets that don't require hours of practice, along with practical lettering advice for the range of crafts surfaces, from paper and fabric, to glass and wood. Romantic, Modern, Decorative, and Vintage lettering offers a universe of choices - practical applications on everything from frames and clocks, to lamp shades, plates, and journals provide wonderful crafting inspiration. 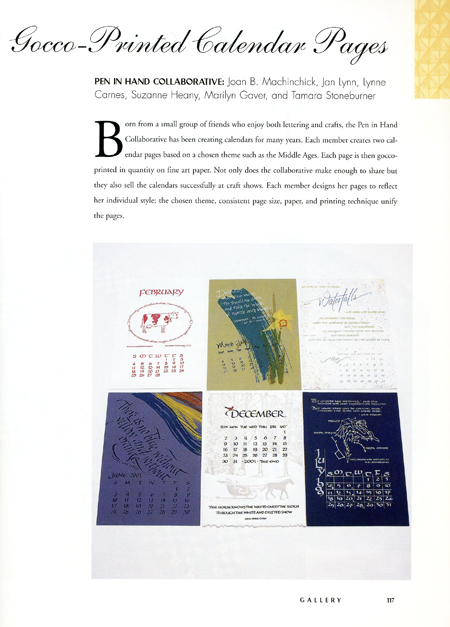 For several years, I worked with a group of outstanding calligraphers and artists in creating calendars.